“The villas that you see down there “, writes Guareschi,” are serious things: large square houses with a ground floor, a first floor and then an attic with windows like slices of watermelon. The windows have their own symmetry and they are all put on the Christian side, with the shorter side at the bottom because the Christians are all with the shorter side down and the longer side standing. “In Zibello you can also see a chapel guarding the river, while others can be seen at the intersections of streets. For the writer they represented, other than a sign of devotion, precious life rafts for those venturing into the thick fog of winter or the scorching sun of summer. But if the eye or the spirit wants its part, even the stomach claims its own. Here we are in the kingdom of culatello, the famous typical salami of the Po valley. 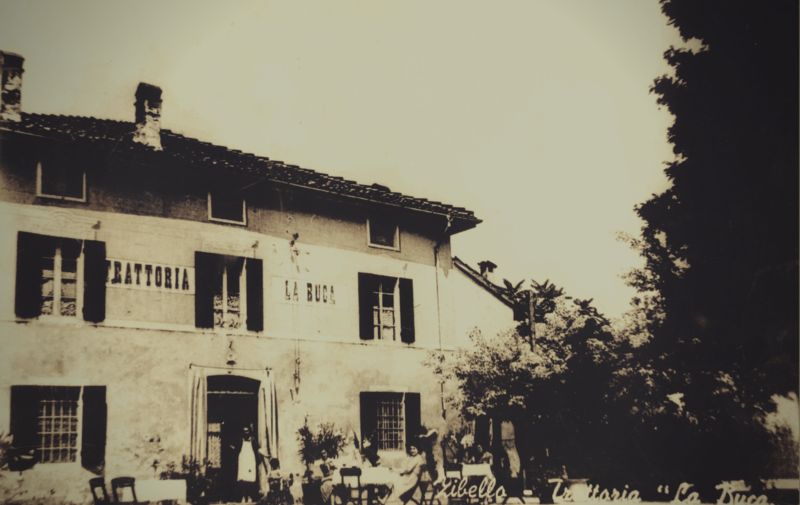 “With us, Giovannino was at home”, says Signora Miriam, the fourth generation of owners of the “La Buca” trattoria. “As a gourmet, he knew how to appreciate our traditional dishes like ricotta tortelloni with herbs and pumpkin or the white version of anolini, filled with only cheese and breadcrumbs. And of course, the culatello, still produced today in the traditional way and completely handmade”. La Buca is a welcoming taste experience. It brings together the aromas of the past and the delight of the present, all in the Emilian tradition. It's a meeting and intimacy at the same time, nestled next to the flow of the river ... We are waiting for you.